Endorsed by more than a dozen authors, speakers, and clergy, "Newsflash" is the Read. Teresa Tomeo's inspirational testimony as she shares how God's spotlight is the only spotlight that matters. Newsflash! 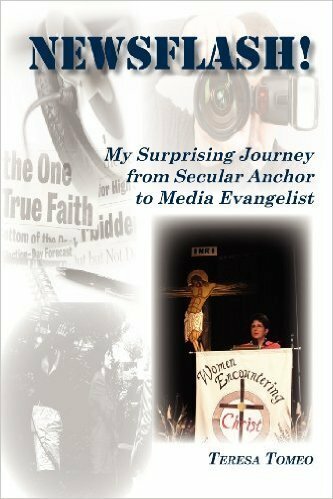 includes a fun photo gallery from Teresa's career and a reflection section for the reader fun, yet riveting account of Teresa's personal and professional life.